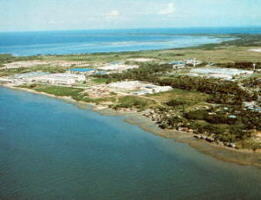 Hadsan Cove Resort: Quality economy hotel directly at the beach. One of the cheapest rates in the Philippines. From about 1000 Pesos per day. In all beach resorts, you find diving centers. Beautiful beaches invite swimming, snorkeling, island hopping with small boats. Nearby Lapu Lapu (15 minutes), Mandaue (20 minutes) and Cebu City (35 minutes) have numerous night clubs, Karaoke, Restaurants, shopping centers.